Despite its supercar looks, the McLaren 570S is a sports car to rival the Audi R8 and high-end versions of the Porsche 911. Does it compete with these talented rivals? You bet it does. The 570S is a bit less technologically sophisticated than McLaren’s other models, but it’s no less enjoyable. The handling is sensational, the ride is comfortable and the engine delivers truly devastating pace. Chuck in the appealing interior and looks that are more exotic than the price tag suggests, and you have a very tempting sports car package. 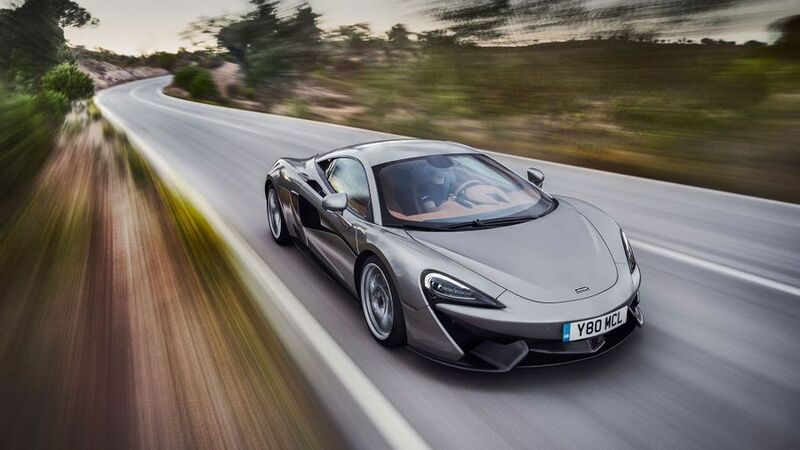 Interested in buying a McLaren 570S? 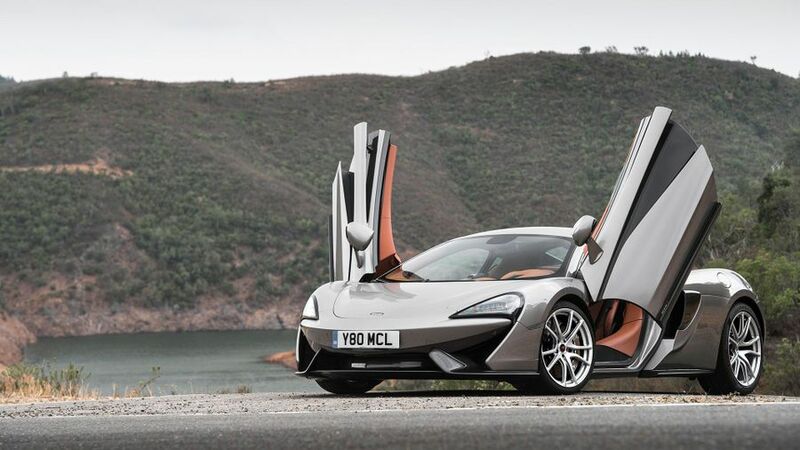 You’d expect any McLaren to look as glamorous and as exotic as anything else on the road, and the 570S delivers. There are some truly breathtaking details on the car, like the P1-inspired LED-strip tail lights, the flying buttresses next to the base of the rear window, and the heavily grooved air channels running down the doors. The doors themselves are pretty cool, as they’re dihedral ones that open in a very theatrical way. The car looks every ounce the supercar, then, but it’s easy to forget that this isn’t really a supercar. It’s a sports car rivalling the Audi R8 and high-end versions of the Porsche 911. Compare the 570S with those cars aesthetically, and it looks (to our eye, at least) like a far more expensive machine. In truth, the other McLarens we’ve driven seem a little too stripped-our and racecar-like to feel all that luxurious, but because it’s designed to be more of an everyday sports car, the 570S feels a good bit more sophisticated. 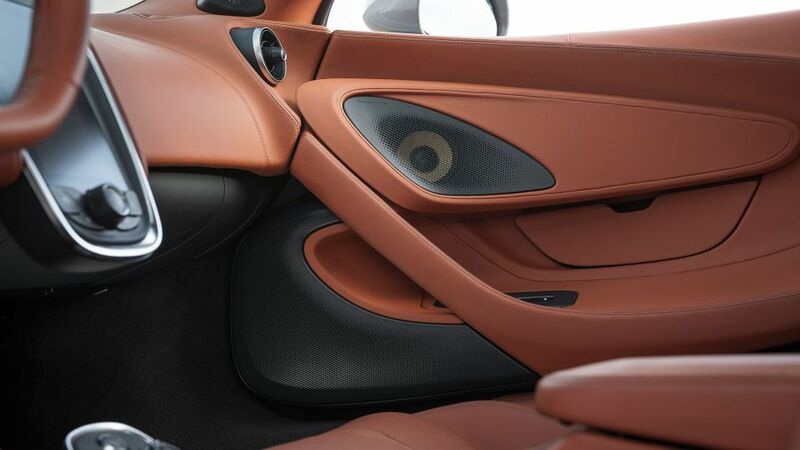 The interior design is much more imaginative than in other McLarens, with some nice curvy surfaces either end of the dashboard; and, with lush-feeling materials and a vast choice of colours and finishes, the cabin is actually a very pleasant place to sit. The dashboard also has a simple and uncluttered layout, even if the portrait-oriented touch-screen infotainment system isn’t the most polished you’ll ever encounter. Thankfully, the visibility is incredibly good for a car like this, with a clear view all around and very few blind spots. Not only does this help with parking manoeuvres, it also helps you place the car on the road accurately when you’re in a more playful mood. The 570S is designed to be a sports car you can live with every day, and as such, McLaren says it’s the most practical car in the line-up. Well, it is, but everything’s relative of course. The luggage space you get under the bonnet is bigger than you’ll find in a 650S, but only by a few litres; the 144-litre space on offer is still only enough for a couple of small, soft bags. Granted, there is an extra space for luggage by way of a shelf placed behind the two seats, and there are a few cubbies and cupholders dotted around the cabin, too. The seats are surrounded by plenty of space, and they offer lots of support and adjustment. Compared with the other McLarens we’ve driven, the 570S has its own very unique character, despite having a variety of classic McLaren qualities. Like all McLaren road cars, it’s built on a carbon fibre tub, and much of the bodywork is fashioned from aluminium, so the car is very light and very stiff. It also has McLaren’s favoured rear-drive, mid-engined layout, plus adaptive dampers that harden up or soften off depending on the suspension mode you select. It all adds up to a wonderfully engaging experience. The lightness of the car makes it feel extremely agile and pointy when you’re changing direction, the layout gives the car a wonderfully balanced feel, and the suspension keeps body roll to a bare minimum. The super-fast responses you get from the controls also contribute to the car’s nimble, darty nature. Where the difference lies, however, is in the amount of grip on offer. 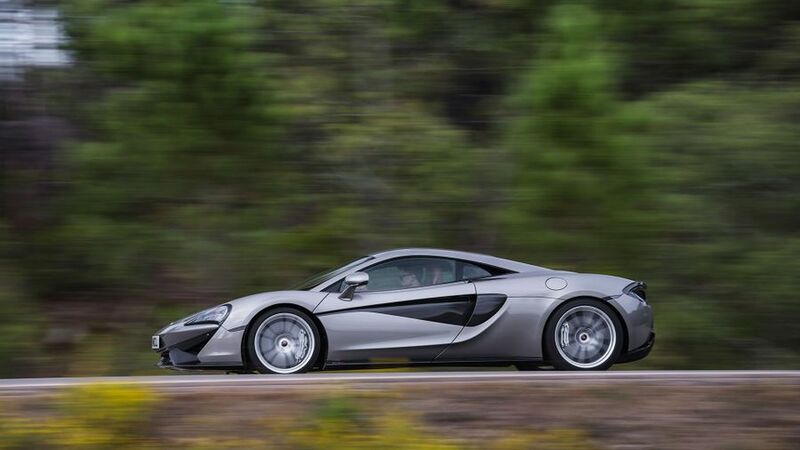 The 570 doesn’t have the clever active aerodynamics system found on other McLarens, that automatically moves the rear wing around to maximise downforce in a variety of driving situations, and it also has narrower tyres. This allows you to explore the limits of grip at far lower speeds, and the odd bit of tail-happy hoonery is much easier to achieve. Granted, it means you can’t pound around corners at the same break-neck speed, with the same unshakeable faith that the car will stick, but it’s no less enjoyable or engaging as a result. The steering is the other big difference-maker. It feels much quicker than that of other McLarens, both to react and to turn, and this adds an extra element of freneticism and excitement to the handling. It could perhaps do with providing a shade more feedback, but there’s enough to keep you feeling on top of the action, and it’s perfectly weighted. What's more, despite all this excitement in the corners, the 570S also delivers an impressively smooth ride. Whether you’re plodding along battered urban streets or pelting along the motorway, there’s enough compliance in the suspension to keep you comfortable and relaxed. The 570S is a surprisingly refined car, too, which allows it to play the role of grand tourer very effectively when the need arises. The 570S uses a fettled version of the 3.8-litre twin-turbo V8 found in the 650S, dialled down to give 562bhp and 443lb ft of torque. Despite the reduction in power, this car is still very, very fast. The 0-62mph time of 3.2 seconds is only a fraction behind that of the 650S, and identical to that of the Lamborghini Huracan, a car that costs many, many thousands more than the 570S. Thankfully, the engine is actually quite docile and manageable at low speeds, making the car easy to drive smoothly, but crank the revs up into the middle of the range and beyond, and the engine starts to become more and more ferocious. By the time you hit the redline, you’re absolutely screaming along, and then you tug on the upshift paddle - which delivers a satisfying metallic click - and you repeat the same process over and over again until one of two things happens: either circumstances dictate that you have to lift out of it, or, you keep going until the car tops out at its maximum speed of 204mph. The transmission, too, is a joy to operate. The fully-automatic shifts are quick and smooth in Normal mode, but select a sportier setting, and the gearbox holds lower gears for longer and makes the changes feel more aggressive. The ‘box also does a brilliant job of selecting the right gear for the job at hand, and when you take over cog-swapping duties yourself by using the paddles, you feel in even greater control of the car. Complaints? 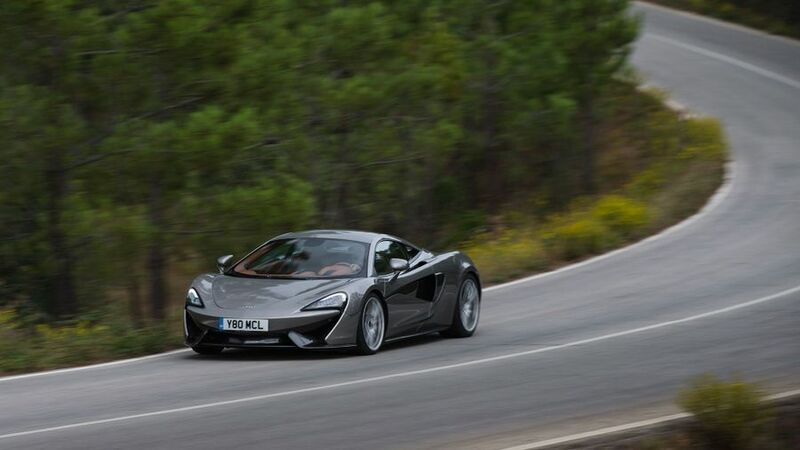 Well, the engine sounds ok, but the noise is nowhere near as soul-stirring, or as loud for that matter, as it is in the McLaren’s acoustically mind-blowing rivals. The 570S is part of McLaren’s Sports Series, a range of cars that’s designed to be a more financially attainable breed of McLaren. Everything’s relative, of course, and this is still a very expensive car, costing about the same as you’ll pay for a very top-end Porsche 911. Importantly, though, the pricing is competitive when compared with its most direct sports car rivals, even when it has the sort of looks and performance you get from some offerings in the supercar class. Obviously, bills for insurance, tyres and maintenance won’t be cheap, and nor will they be for fuel and tax, but with average fuel economy of 26.6mpg and CO2 emissions of 249g/km, your everyday running costs on the 570S won’t be as ruinous as they will for some other cars with this level of performance. As a fairly new car, and a fairly new car company for that matter, there is very little meaningful data on how reliable the 570S, or any other McLaren, will be. The odd glitch was reported on early 12Cs, but these seemed to be ironed out with various upgrades during the car’s lifespan. 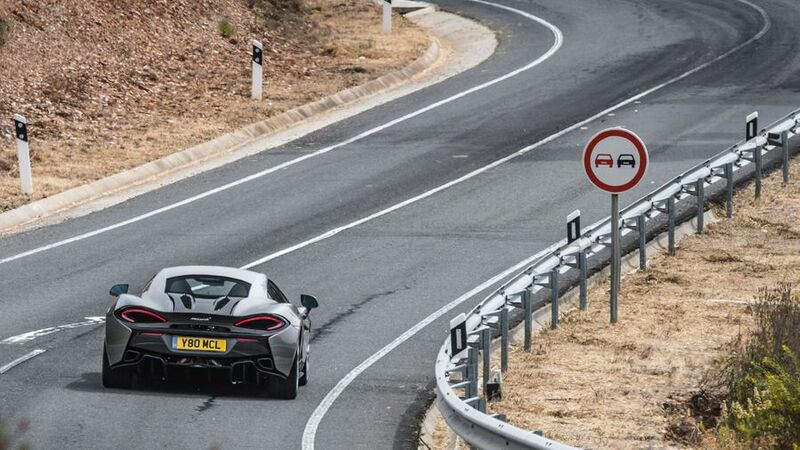 However, it’ll be a while before we get a true picture of exactly how dependable McLaren’s cars are. Don’t expect a small-volume car like the 570S to ever be crash tested by Euro NCAP, but the car does have some features that should enhance safety as far as possible. For starters, the carbon fibre monocell on which the car is built is incredibly strong, and should do a very good job of channelling crash forces around the passenger cell, rather than into it. The advanced stability control system has a range of modes that give you more help or less help as requested and, should the worst happen, there’s a collection of airbags to help make sure that the crash causes a much bigger hit to your wallet than it will to you and your passenger. Cars this expensive often disappoint with the amount of luxury kit you get as standard, but since it’s intended as a comfortable everyday car, the 570S comes with more creature comforts than other, more expensive McLaren models. The standard roster runs to air-con, leather upholstery, funky LCD dials and electric seat height adjustment, along with an infotainment system that includes sat-nav, DAB radio and Bluetooth. Of course, you can specify all kinds of extra fripperies on top of that, which many of McLaren’s well-heeled customers will snap up, but many of the optional bits and bobs are pretty pricey. If you get too crazy with the options list, the price of your car will quickly climb to a level where you might as well plump for a 650S instead. Because you want a car that looks, and goes, like a supercar, but you only want to pay a sports car price. That’s exactly what the McLaren 570S gives you, along with one of the most engaging driving experiences available at any money. If you’re in the privileged position of being able to even think about buying one, give it some serious consideration.